Four 60-count carriers per case. 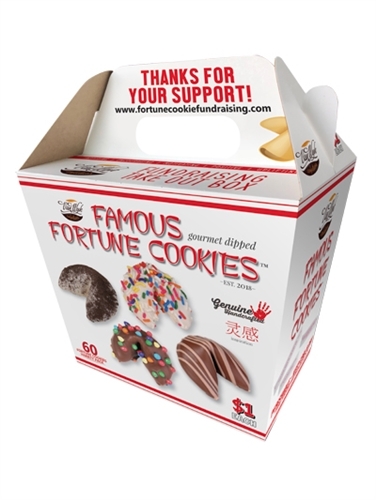 Fortune cookies dipped in white and milk chocolaty dip and covered with delicious toppings. These come in a "Take-Out" carrier that holds 60 cookies. Each fortune cookie contains a positive, uplifting message that will warm your heart and educate your mind!